Highly sensitive and accurate panel meters for a wide array of applications. Volt and ammeters, set point comparators, thermometer, tachometer, strain gauge, and remote monitors. 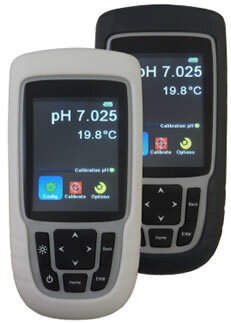 102 Diffusion CO2 monitor - crops. New - injection moulded electrophoresis tanks guaranteed leak proof construction. Made to industry standard sizes for pre-cast gels. Each unit can take several tray sizes. Casting gates included. Palm size Ur SG refractometers. Replace your hand held 'hold it up to the light' units with the ease accuracy and repeatability of digital technology. New pH instruments for food include the non glass pH probes from Sentron the ideal pH system for all food industry applications. See the LanceFET no glass no slip probe for meat and poultry. Oxygen analyzers and purge fixtures for oxygen free welding of high alloy steels. Tungsten electrode grinder. Includes products from PSP Vacuum Technology, SciCam and others -X-ray sources, ion guns, electron guns, multi-channel detectors, electron energy analyzers and parts and service for VSW (Vacuum Science Workshop Ltd) equipment. Topac is a distributor of a	broad range of scientific, industrial and process control instrumentation. Topac provides applications support, calibration and maintenance service for all of the products listed here. 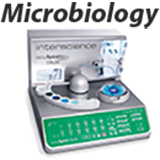 Take advantage of our secure instruments on line store for speedy economic	purchasing of instruments and supplies.